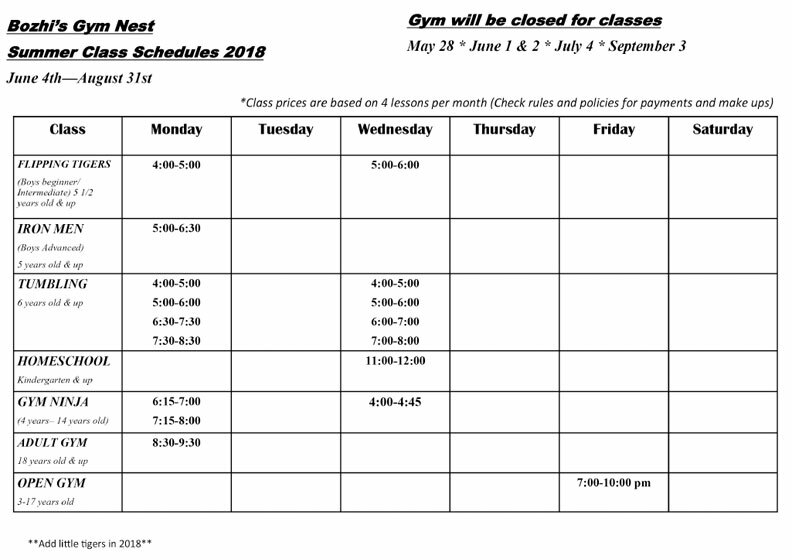 Classes run June 4th, 2017— August 31st, 2018..
GYM CLOSED for classes may 28th / JUNE 1st - 2nd / july 4th. SEPTEMBER 3rd. Gymnastics competitive teams practice year-round. NOTE: Class prices are based on 4 lessons per month (Check rules and policies for payments and make-ups). 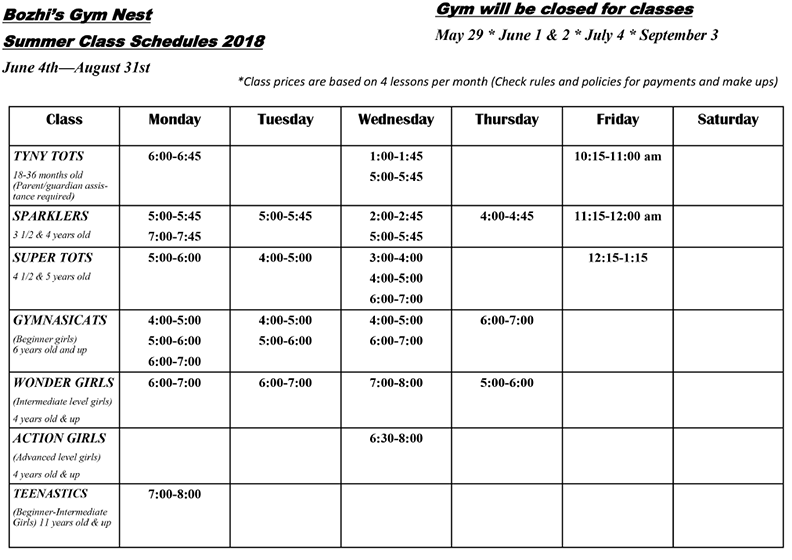 Call today (304) 697-1789 for pricing on classes and camps. Multiple discounts available, as well as options for birthday parties, field trips, and private lessons. © 2019 Bozhi's Gym Nest Gymnastics. All Rights Reserved. Pictures and names of gymnasts are used with permission by their families.